212, Inc. recently participated in the Woonsocket Adapt-A-Family charity by raising money to provided two families in Rhode Island with gifts for the holiday season. This year, the Woonsocket Adapt-A-Family program supplied 2,311 children in 1,118 families gifts of toys and clothes. After high success in November and December, 212 decided to give back to the community by sponsoring two local Rhode Island families with a total of four children. 212 collected donations from its employees to raise money to buy new clothes and toys for the children. Adopt-A-Family, Inc., was started by a group of volunteers and has been a favorite local charity in the Northern Rhode Island area since its inception. Its mission is to provide gifts of clothes and toys to children of needy families in Woonsocket. The agency is an independent privately funded, non-profit organization founded in 1983. 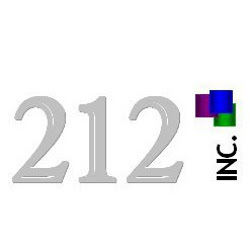 212, Inc., is a leading Providence based direct marketing and sales agency focused on meeting the needs of its fortune 500 clients. Recently relocated to Rhode Island, 212 has experienced a 60% increase in growth.